Tree Service Newberg | Mr. Tree, Inc.
People know tree service in Newberg is done right when it is done by Mr. Tree, Inc. Our Newberg customers have valued our services for over 30 years because we handle all our services with safety and customer satisfaction as our highest priorities. Whether you are getting advice on tree getting a tree back to health from our certified arborist, removing trees that are threatening to fall and damage property, or have lot clearing for a commercial building site, Mr. Tree handles it with years of experience and know-how. We have all the equipment necessary to handle any size or scale tree service in Newberg. 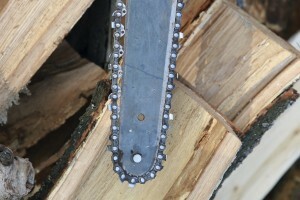 Our skilled tree service professionals ensure that your property is safe when removing a tree. Some, less experienced tree services, may not have the understanding it takes to know how to remove a tree safely, without taking out powerlines, threatening roofing materials, or ensuring that other surrounding trees are not damaged in the process. We keep everyone and everything safe when we handle any part of your tree care. At Mr. Tree, we take the time to listen to your needs. We are happy to discuss options for tree care, planting, or best practices for tree removal. Your satisfaction matters to us. 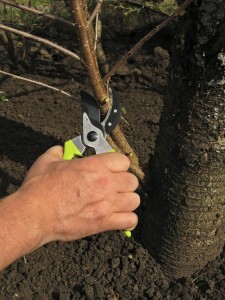 Offering both commercial and residential tree service in Newberg, Mr. Tree has all aspects of tree service covered. Our tree service professionals can handle everything from lot clearing to demolitions and excavation. We offer responsible logging services and can even help you determine the best tree thinning options to reduce the threat of fire on your land. Mr. Tree wants to help your yard be the boast of the neighborhood as well as keep it functional. Each homeowner has specific desires for their yard. Whether you want shade for summer dinner parties outdoors or you need a privacy boundary, we can help you obtain your landscaping goals. We always do a thorough job of cleaning up after our work, leaving your yard pruned, shaped, and looking its best. When you contact Mr. Tree for residential or industrial tree service in Newberg, we can do it all. We are a full-service tree company. With an arborist on staff to provide knowledge and ensure quality in the health of your trees, we can get your yard looking spectacular. For larger jobs we have a crew that takes safety into consideration in all we do. We have the most up-do-date heavy equipment and the expertise to get the job done right. Mr. Tree is an OSHA Approved, locally-owned business. We are licensed and bonded so you can feel confident when we say satisfaction is guaranteed. Contact us today for any tree service in Newberg. Mr. Tree enjoys offering tree service to Newberg and surrounding areas because Newberg has so much going for it! With an excellent school system, a thriving downtown scene, and a hometown, neighborhood feel, Newberg is a great place to visit and an even better place to live.